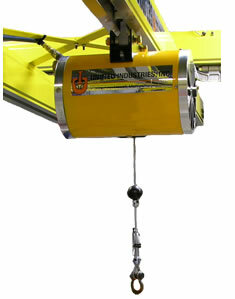 Unified Industries Air Balancer » Entagear Co., Ltd.
• Capacities up to 485 lbs. single reeve – 1940 lbs. tandem reeved. • Safety overload limit and check valve in case of loss of air supply. 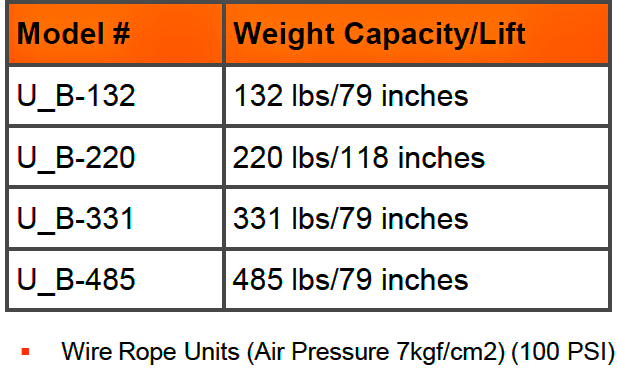 • Energy Efficient; only a fraction of a CFM per cycle required when compared to a hoist. • Robust precision mechanical design ensures trouble free extended service life. • Uses non-lubricated air assures clean environment. • Ideal for ergonomic handling applications and suspension of tools, weld guns & fixtures.